If you’ve been using BitLocker in your organization, you probably receive some requests from your security department to monitor the status of a device if it gets stolen. There’s a couple of ways to achieve this. The first and recommended one would be to use Microsoft BitLocker Administration and Monitoring (MBAM). However, this tool is not free, you need to have Microsoft Desktop Optimization Pack (MDOP). Microsoft has also announced that the actual MBAM 2.5 version is getting deprecated soon (Extended support on July 2019). So we’ll skip this one for now. The second solution would be to use a configuration baseline in SCCM to monitor BitLocker and report the configuration baseline status using a report. This is a good solution but you’ll need to create a baseline based on a script and deploy it to all your computers. 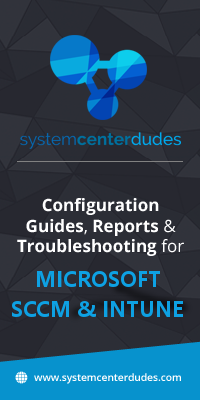 If you’re not familiar with configuration baseline and want a quicker, simplier solution, keep reading. The last solution would be to use a built-in SCCM Bitlocker report… but there’s none. The good news is that we’ve created one for you and giving it for free just because we think you’re awesome! There’s 2 small thing to do before you can use the free report. 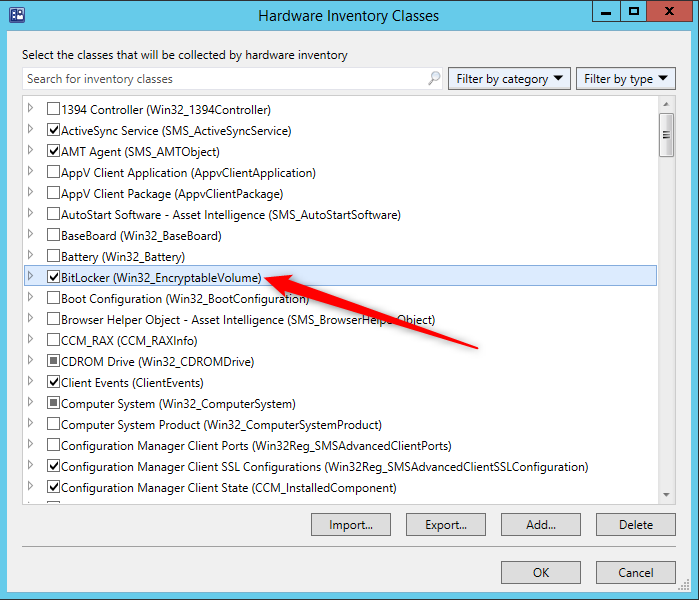 You need to enable Bitlocker inventory classes in your Hardware inventory. If your inventory is already configured for Bitlocker, jump to the download section. 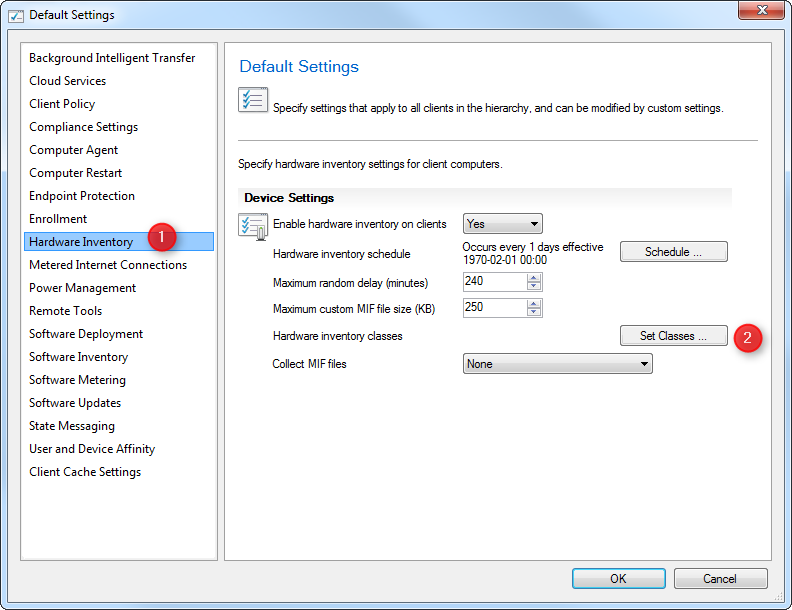 Select the Client Settings that apply to your bitlocker collection. In our example, we’ll use the Default Client Setting but we reccomend that you use a custom one. Close the Hardware inventory class window by clicking ok.
You can download this free report by visiting our product page. The Asset – Bitlocker Status report is available in the Report / Asset Section. Love the SCCM bundle and Bitlocker reports. It has help with audit documentation. Could I get the Bitlocker report customized to report by collection group? What would charge be for the customization? Great report, thank you. I see duplicate computers in report, any idea why? Thanks for the report. My “Total Devices” is only a small fraction of my actual total devices. Does it only show devices with the BitLocker inventory class enabled? Also, do you know why some devices are listed twice (exact duplicates)? I’m having the same issue. I have around 8000 clients but this report is only showing around 3500. Same issue for me, count is about half of all systems and a few duplicates as well. 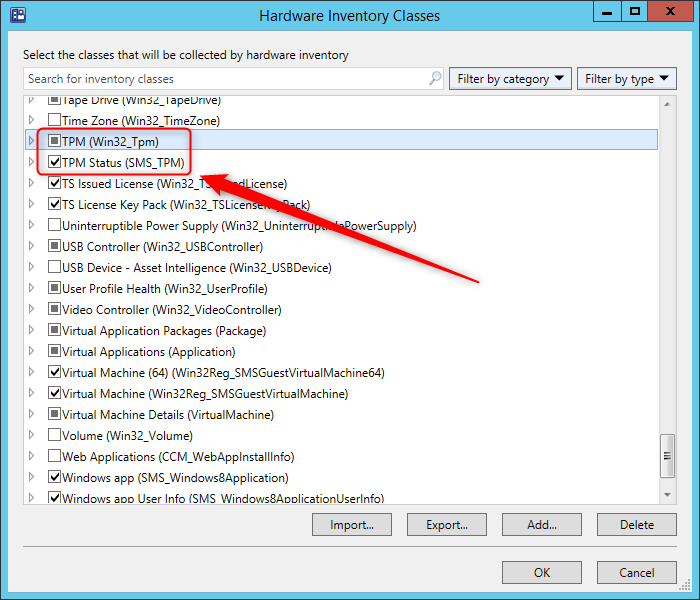 I don’t see the TPM Status (SMS_TPM) in my HW inventory list, was this something you added manually or do newer versions of SCCM has this class in there? I am on SCCM 1610. Beautiful report!! One very helpful addition would be a filter by collection if possible. Would you be able to guide me on setting that up? Hi Stian, thanks for your input. Hi Benoit, Yes that’s what I expected to see if HDD is encrypted with AES_128_WITH_DIFFUSER, AES_256_WITH_DIFFUSER and other formats..Please let me know if this is possible to get this added into this report. Thank you for your post, can we also get the encryption method listed? Can you give more details? I’m not sure this information is gathered by SCCM. If you can switch these integers to a more readable string, then I guess you’ll be good to go.